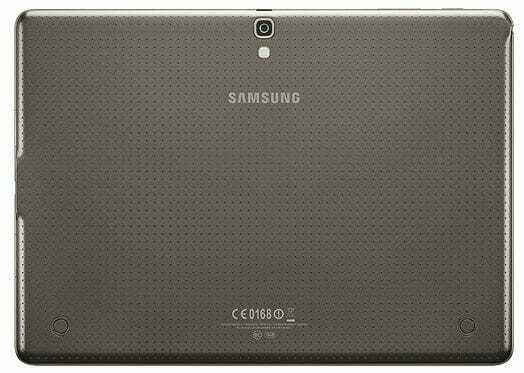 According to the photos, the front panel design stays close to its siblings, the Galaxy Tab Pro and Galaxy Note tablets. The front panel clearly shows that the hardware home button and the capacitive task switcher and back key are still there. The replacement of the menu key with the task switcher key has been the main difference. The secondary camera has also been spotted at top of the screen, with the company logo. The pictures reveal that it has the new faux leather back which is very attractive and gives a sound grip to the user. None the less, the front and back is clean except from the front and back camera. The side shots reveal some interesting details. 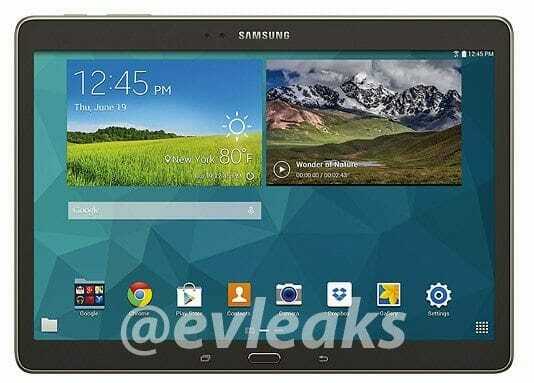 The Galaxy Tab S 10.5 has a microUSB port 2.0 port, unlike the 12.2” Note Pro and Tab Pro tablets, which have a microUSB 3.0 on board. 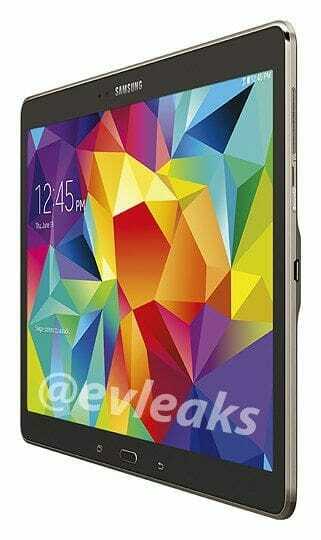 The Galaxy Tab s 10.5 will have stereo speakers on it sides though, plus a microSD card slot. Enough about the design of the phone, although the features have been clearly stated but some things are left. 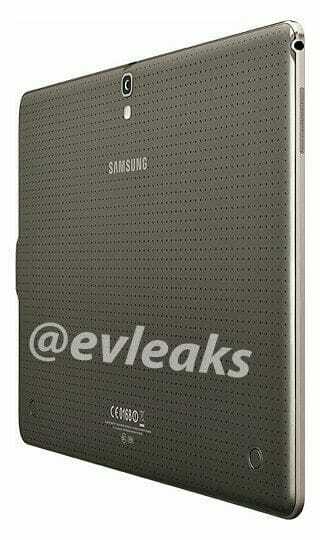 The phone will have Exynos 5420 chipset (4x Cortex-A7 @ 1.3 GHz + 4x Cortex-A15 @ 1.9GHz). What’s coming at this year’s Apple WWDC 2014?